(Vancouver, BC – December 7th, 2015) – The number eight is considered highly auspicious in Chinese culture. That’s because the spoken word for ‘eight’ (baat) sounds like the word meaning ‘good fortune,’ and 2016 marks lucky year eight for the Chinese Restaurant Awards (CRA). 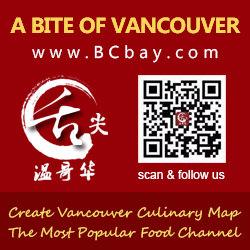 Through seven years, more than 130,000 votes cast, innumerable dishes devoured and judged; the CRA has raised awareness of the excellent Chinese cuisine available in Metro Vancouver and celebrates its important influence on Vancouver’s much-lauded dining scene. Starting in 2008, with a small group of dedicated food critics, the event has grown in size and stature attracting world-wide media attention and capturing the votes and palates of thousands of Lower Mainlanders. In addition to key features such as the very popular Diners’ Choice Awards, Social Media Awards and Critics’ Choice Signature Dish Awards, this year’s celebration also includes fundraising events and culinary star power – two exclusive East Meets West Dinners at The Shangri-La Hotel Vancouver with Michelin-starred chefs from Paris and the annual Scotiabank Feast of Fortune Charity Gala with local award winning Chinese chefs. Both will raise funds for Mount Saint Joseph Hospital. This year, CRA will boast a new, mobile-friendly website that will make voting even easier and, as in past years, all voting will be audited by certified auditor. Four popular foodies from Vancouver’s very active Chinese social media community will taste and judge five iconic dishes at a variety of restaurants. Each judge is highly regarded for their knowledge of the history of the dish, its components and flavour profile. These awards are fascinating to members of the Mainstream community who may not be familiar with some of these dishes. This year’s social media panel includes: Sherman Chan (Sherman’s Food Adventures), Emily Cheng (Miss Vancouver Piggy), Jesse Tsao (My Van Life), and Cathy Zhou (active on Weibo and WeChat). The distinguished panel headed by CRA co-founder Stephen Wong also includes Lee Man, Brendon Matthews and popular restaurant critic/food writer Foodie Yau. These people deserve a medal for all the dishes they consume and restaurants they visit over the course of a year. For 2016, they have committed to judging 10 signature dishes, many of them new dishes that have not been judged before. We invite you to sharpen your chopsticks, hone your taste buds and join in CRA’s celebration of Chinese culinary excellence.